Step into a world that takes you back several decades and witness London in all its glory, with a heritage that is truly like none other. Mix that with a little 1960’s America vibe in two of the most exclusive cocktail bars in England and you have yourself The Savoy. But English heritage aside, we’re talking about a hotel that prides itself in the world of alcohol, the Savoy Collection being a prime example of that and something we’re really excited to share with you today. With its entrance located in the heart of the foyer, the American Bar can be anything you want it to be. Take in the vibrant atmosphere with a group as you chat away or observe single handedly in peace as you admire the pianist doing what he does best with an unbelievably good cocktail in hand. Order anything from the extensive cocktail menu, full of distinctive classics and local twists; either way, you’re sure to be impressed. Make sure to call ahead and make a reservation, the American Bar is one of the most popular spots in London for travelers and cocktail enthusiasts alike. There is no question that Beaufort is a definite contender for one of London’s most extravagant cocktail bars. I mean lets face it, there’s not many places that have a hand-crafted cocktail trolley pull up to your table, and believe me when I tell you, its quite an experience to witness. As if the ambience couldn’t be topped, the state of the art pop-up drinks menu really is the garnish to the cocktail. I guarantee you’ve never seen anything like it before nor will you see anything like it again. The vibe of the room embraces you, taking you back several decades as if you’re in the heart of London just after WWII. Every detail is met to perfection, including each cocktail you will see crafted before your very eyes. The Beaufort is a London gem, a place that like many other bars cannot be replicated in any way, shape or form. 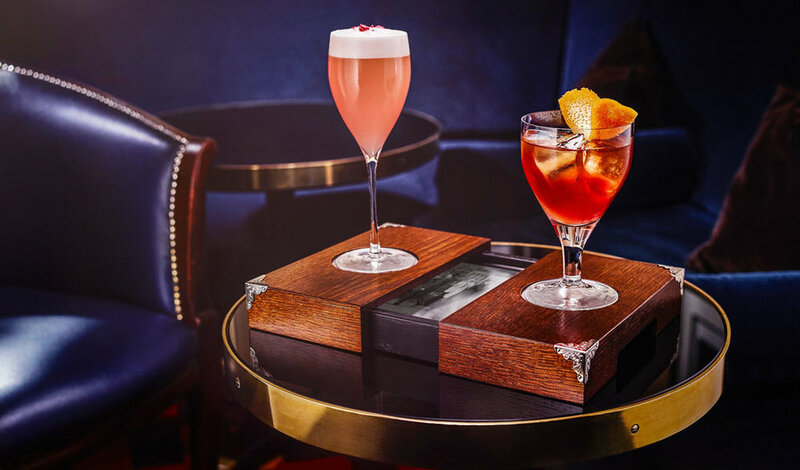 As if two of the most prestigious bars in the country wasn’t enough, The Savoy is home to one of the worlds most luxurious and limited spirit collections. Decades ago when The Savoy had first opened its doors, there was a spirit collection so prestigious that only the most loyal guests were able to taste. It was the hotels way of saying ‘thank you’ – to the people who kept its doors open and to those who had supported what was to become one of the most famous hotels in the world. A couple of years ago the hotel had a realization… why not re-introduce this custom? 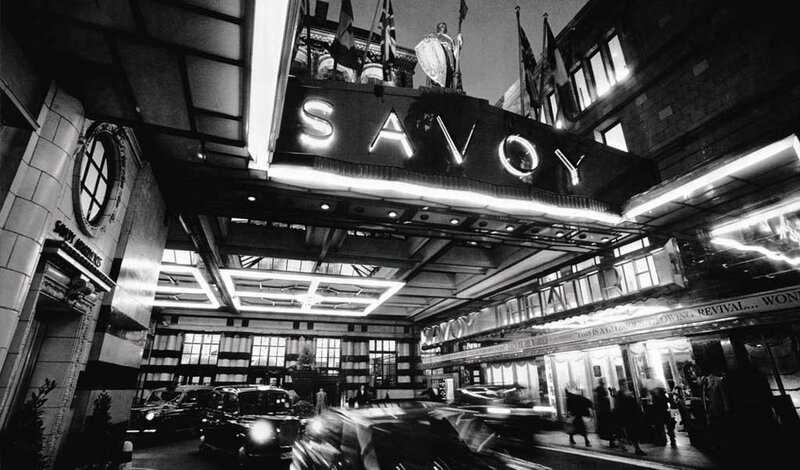 Why not once again say thank you to those who are at the core of The Savoy community? And so it was re-born. Curated by a leading panel of award-winning bartenders and the Savoy’s own team of drink experts, each sensation is carefully picked, bottled, labeled and presented immaculately. Incredibly limited quantities of each spirit produced to ensure they remain a rare and hard to come by delight, every bottle being hand-numbered. With names like Laphroaig and Martini sitting at the heart of the collection, the centerpiece gem is presented in a custom-made glass masterpiece, the elusive 125th Anniversary Decanter filled with the rarest Speyside whisky to date; the 48 year-old Macallan single malt scotch. So there you have it, you read the list, you’ve licked your lips and you’re probably rummaging through your liquor cabinet right about now. I’ll leave you with this; sometimes when you look really closely at something you realize it’s not just black and white. While The Savoy is one of London’s most historic hotels, it is also at the very heart of our drinks industry, a pioneer and innovator of its time and a curator of what will become some of the rarest and most sought after spirits on this planet.